Robotics has been advocated as an emerging approach to engaging K-12 students in learning science, technology, engineering, and mathematics (STEM). This study examined the impacts of a project-based STEM integrated robotics curriculum on elementary school students’ attitudes toward STEM and perceived learning in an afterschool setting. Three elementary school teachers and 18 fourth to sixth graders participated in an eight-week-long program. Quantitative and qualitative data were collected and analyzed, and showed students’ attitudes toward math improved significantly at the end of the robotics curriculum. Three specific areas of perceived learning were identified, including STEM content learning and connection, engagement and perseverance, and development and challenge in teamwork. The findings also identified the opportunities and challenges in designing a STEM integrated robotics afterschool curriculum for upper elementary school students. Implications for future research studies and curriculum design are discussed. This material is based upon work supported by the National Science Foundation under Grant Number 1640228. Any opinions, findings, and conclusions or recommendations expressed in this material are those of the author(s) and do not necessarily reflect the views of the National Science Foundation. Buck Institute of Education (BIE) (2017). Why project based learning? Retrieved March 20, 2019 from http://bie.org/. National Governors Association Center for Best Practices, & Council of Chief State School Officers (2010). Common Core State Standards for mathematics: Grade 4 measurement & data. Retrieved March 20, 2019 from http://www.corestandards.org/Math/Content/4/MD/. Schmidt, J., Kafkas, S., Maier, K., Shumow, L., & Kackar-Cam, H. (2018). Why are we learning this? Using mixed methods to understand teachers’ relevance statements and how they shape middle school students’ perceptions of science utility. Contemporary Educational Psychology. https://doi.org/10.1016/j.cedpsych.2018.08.005. Taylor, K. (2016). 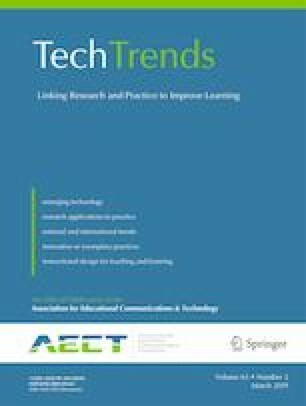 Collaborative robotics, more than just working in groups: effects of student collaboration on learning motivation, collaborative problem solving, and science process skills in robotic activities. (Doctoral dissertation). Retrieved March 20, 2019 from https://scholarworks.boisestate.edu/cgi/viewcontent.cgi?article=2179&context=td.